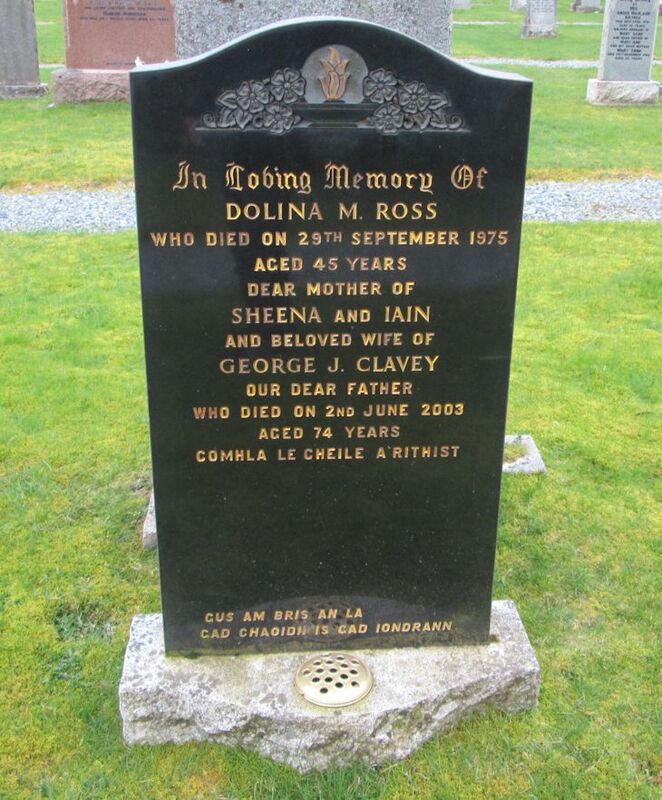 Skye Gravestones | Dolina (Ross) & George Clavey. Dolina (Ross) & George Clavey. In loving memory of/DOINA M. ROSS/who died on 28th September 1975/aged 45 years/dear mother of/SHEENA and IAIN/and beloved wife of/GEORGE J. CLAVEY/our dear father/who died on/2nd June 2003/aged 74 years. Gad chaoidh is gad iondrann. Picture Added on 28 May 2014.